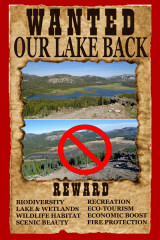 Finally after years of inaction and downright obfuscation, the Truckee Donner Land Trust is trying to bring their project to notch Van Norden Dam and drain the lake and wetlands to Nevada County. In speaking with the project planner with Nevada County it is becoming clear what their strategy will be. 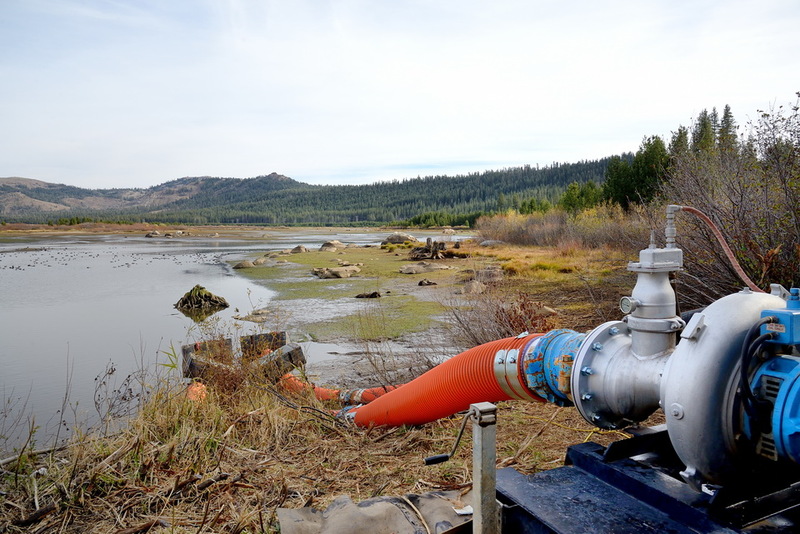 Those of you that frequent this site know that over the last four years TDLT has steadfastly refused to obtain the water rights for Van Norden Lake (even when we offered to pay the costs). This culminated in the fiasco late last summer when TDLT spent tens of thousands of dollars (money that could have gone to securing the water rights) to pump out the lake when the Water Resources Control Board (WRCB) was fed up with TDLT’s inaction. Now we can see the method in this madness. TDLT has now gone to the county and is telling them that they have drained the lake in response to an order from the WRCB and that THE LAKE IS GONE. Using this approach they hope to completely side step the CEQA review of their destruction of the lake and wetland habitat. Unfortunately for them the reality of the situation is quite different from their claims. 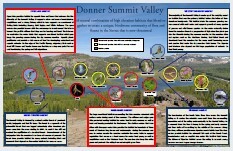 Anyone that has been to Donner Summit this spring knows the truth of the situation. Van Norden Lake is alive and flowing out in the Summit Valley. Despite this blatant attempt at deception, the spring melt water has filled the lake, the water fowl are returning, the Western Toads are breeding and the habitat is thriving, just as it has for the last 40 years. This is really no surprise to anyone that knows the hydrology of the Summit Valley. It seems that TDLT is banking on the hope that the people down in Nevada City don’t get up here very often to see the truth for themselves. Maybe this kayak paddle we took this week on the supposedly mythical lake will enlighten them. We will be meeting with Nevada County in the next couple of weeks to try to clarify the situation and gather as much information as we can. The critical time is now coming when all of us that support the lake will have a say in the process. We will make every effort to keep everyone informed of what is happening and provide information that will allow everyone to participate.